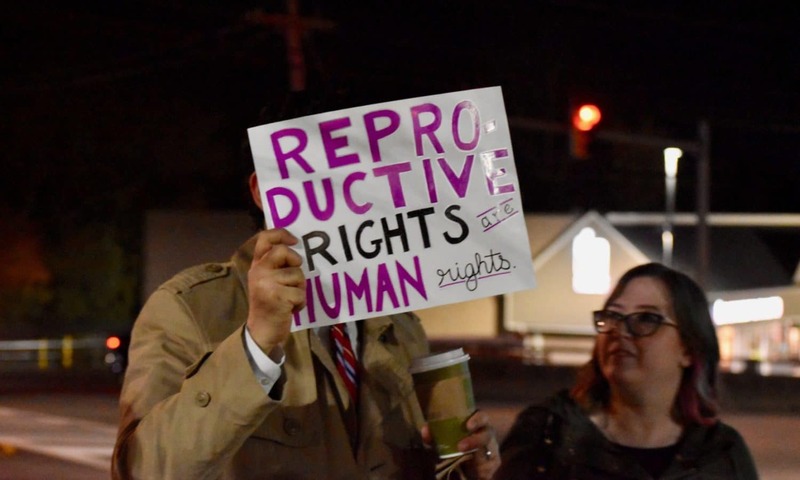 Over 50 people, representing themselves and more than a dozen different advocacy groups, gathered outside Chapel Grille in Cranston Thursday night armed with signs, chants and songs and demanding new leadership in the Rhode Island House of Representatives. Inside the Chapel Hill function room, Democratic representatives, summoned by House Speaker Nicholas Mattiello (Democrat, District 15, Cranston), engaged in tense discussions over who should lead. 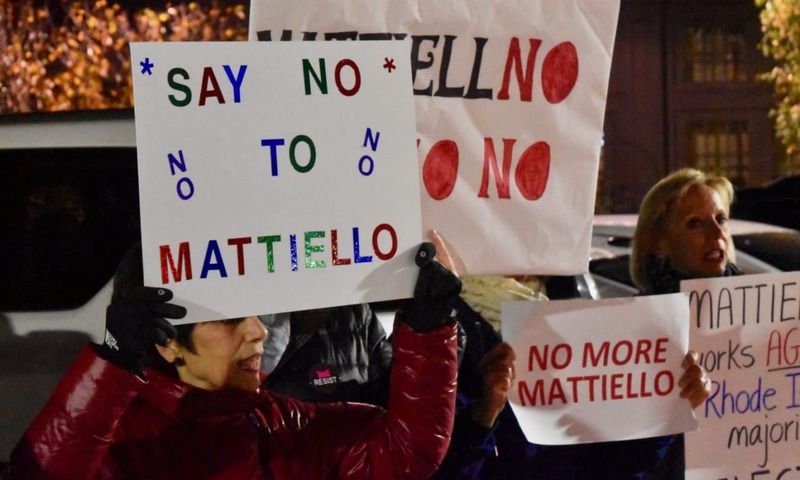 In the end, 21 Representatives declared their opposition to Mattiello and called for changes to the way business is conducted at the State House. 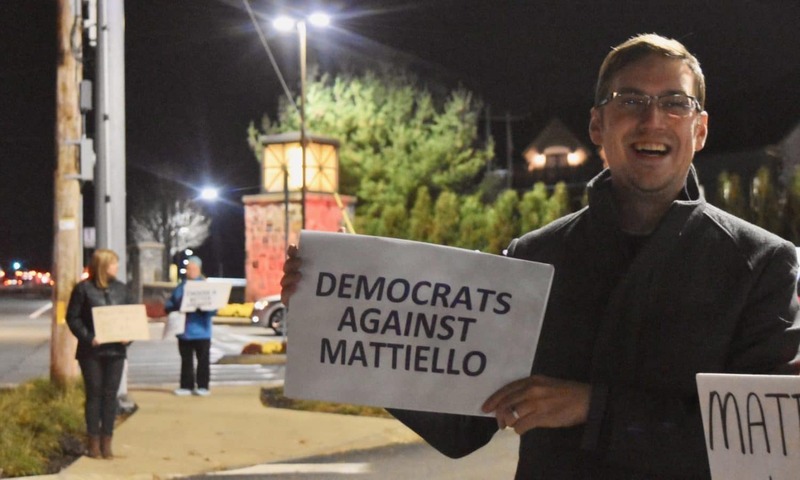 Mattiello has recently decided to take on the mainstream media. 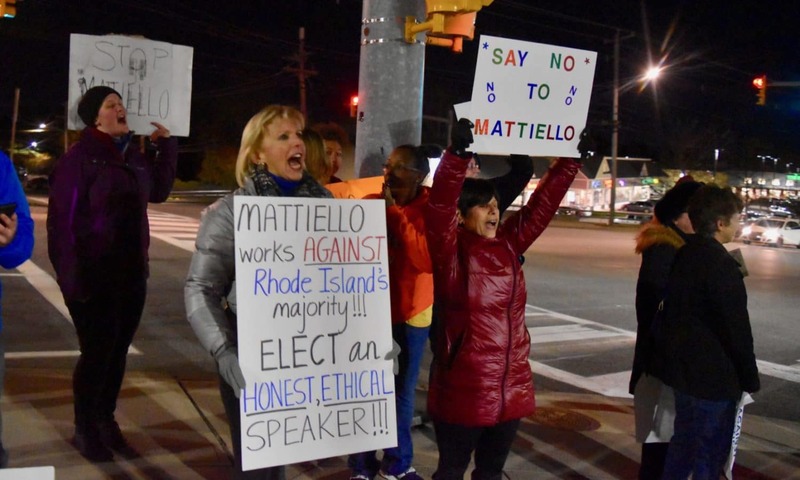 In what can easily be seen as a Trumpian move, Mattiello told WPRI/Channel 12 news reporter Kim Kalunian that he would not be working with media he considered unfair or not objective. 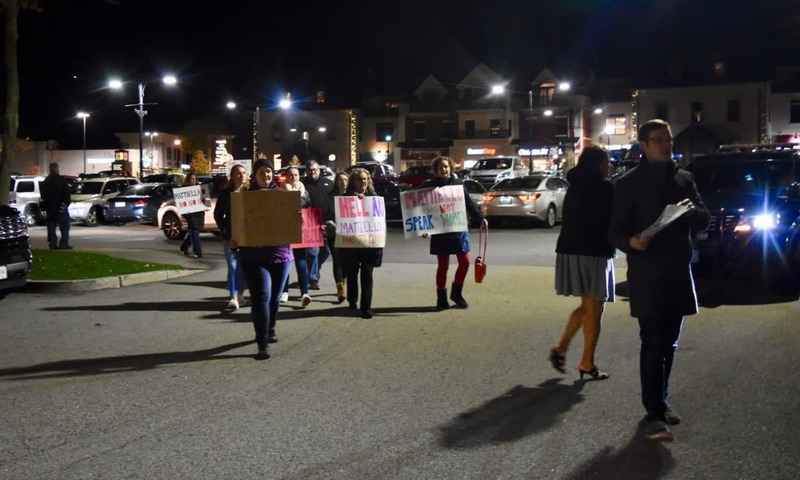 That’s why UpriseRI.com coordinated the social media call for the protest outside Chapel Grille: Mattiello has set himself up as the arbiter of local media access, based on his perceptions and emotions. This does not seem like Democracy. It seems like despotism and reeks of desperation. “Tonight’s Democratic Caucus was called quickly and held behind closed doors. This lack of an open and transparent process deprives us of the opportunity to advocate for the kinds of changes our constituents expect and demand. Some newly elected Representatives have never met the Speaker and were asked to vote for him tonight without even a discussion. “There is no reason we must vote tonight. The vote for speaker happens on the floor of the House in January. Each of us has heard the demand, loud and clear, from our constituents for a more democratic House, one that operates in an open and transparent way, and where legislative proposals get a fair hearing. 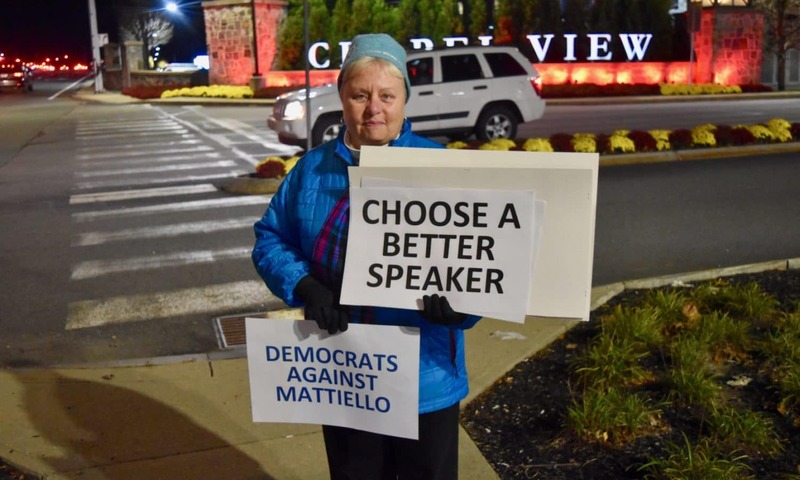 We must have a speaker who can meet those demands. Outside Chapel Grille the protesters, having been dispersed by the Cranston Police Department under threat of arrest, had moved to the sidewalk where they could look up at their Representatives in much the same way medieval peasants looked up at their leaders in castles. 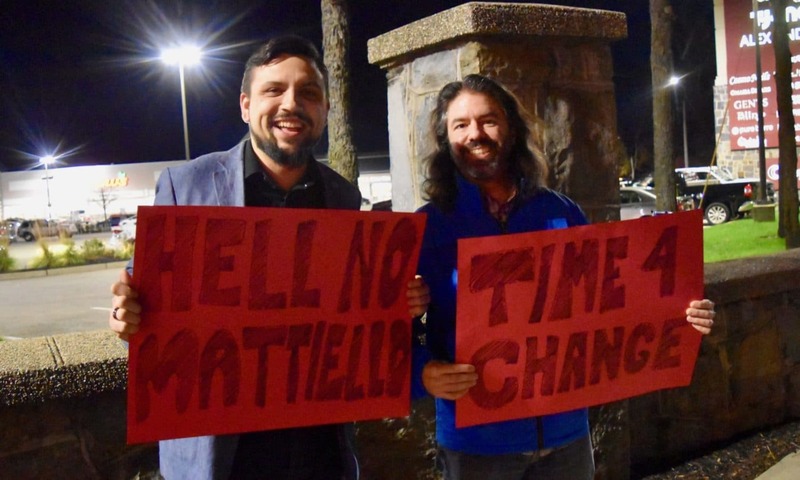 The people gathered in the cold outside hoped to show support for the anti-Mattiello contingent inside the caucus and let the Speaker know that his re-ascension to the Speakership will not be easy: He will be fought every step of the way. Change in the way the House works is being demanded by the people, and that change starts with leadership. “Our organizations are calling for the following basic reforms to make the Rhode Island House of Representatives function as a working democracy. We propose increasing committee power. Currently, the Speaker has absolute control of which bills do and don’t leave committee. Countless bills never make it out of committee despite popular support by the majority of Representatives and their constituents. No one person should control the fate of all bills. Additionally there should be reasonable time for Representatives to review amendments to bills. Currently, the rushed practice at the end of session diminishes the overall quality of bills and forces Representatives to vote on many important statewide issues without time to properly consider the language of those laws. The Carpionato Group owns the plaza that surrounds Chapel Grille and owns Chapel Grille itself. They even own that section of Chapel Hill Road that cuts through the plaza. 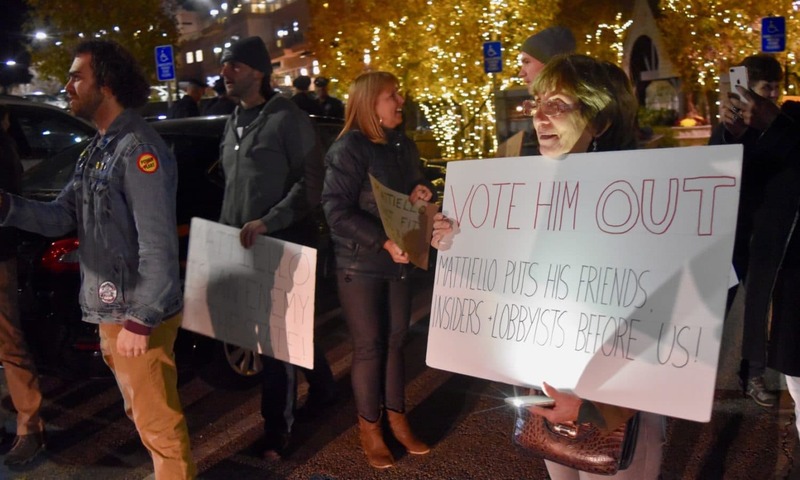 Cranston Police were adamant that the “property owner” was willing to press charges if the lawfully assembled political protesters, exercising their first amendment rights, did not disperse. In times like these, people need to consider what the privatization of the commons will ultimately mean. Even as Mattiello held his caucus meeting inside a restaurant on private property where the public was not allowed and the media was kept at bay, Rhode Island Senate President Dominick Ruggerio (Democrat, District 4, Providence) was holding a similar caucus in the Senate Lounge at the State House, which was open to the media. Why should the House Democratic caucus meeting be held in private, outside the hearing of the the public? Why should the public be threatened with arrest by the police while peacefully exercising their first amendment rights? 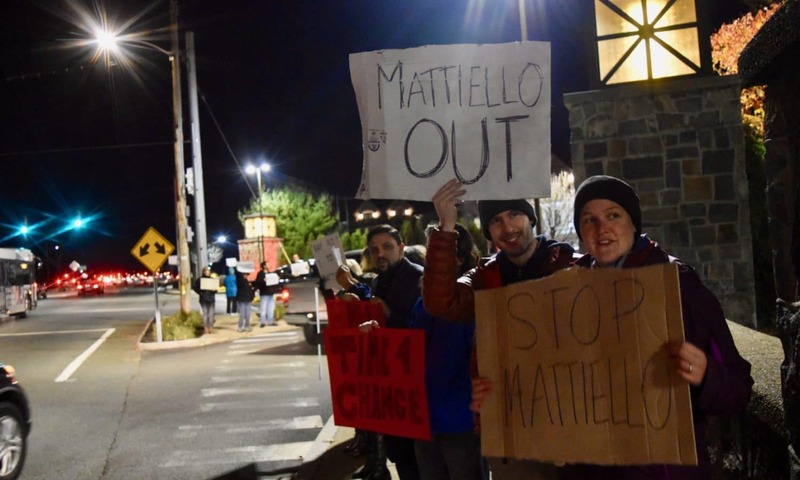 Mattiello had alternatives to Chapel Grille. Calling the caucus there was a statement. 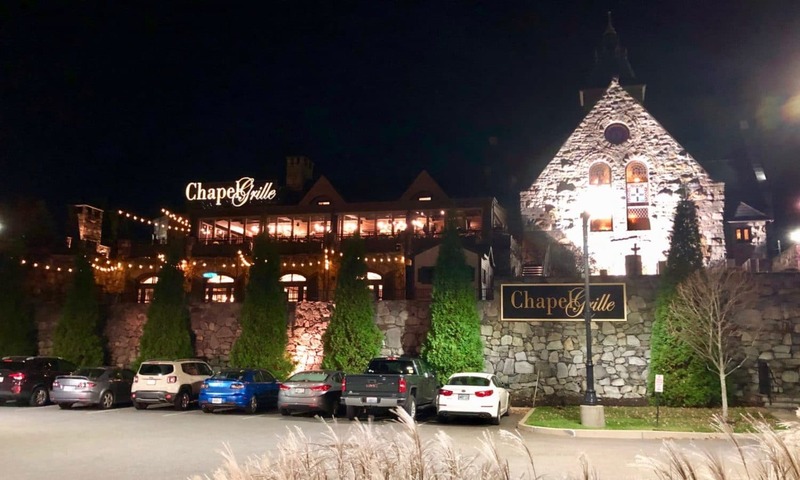 It all seems to be related to a core despotism on the part of Speaker Mattiello, who prefers back rooms and privacy, like the function room of Chapel Grille, to open meetings and public scrutiny, like the House Lounge may have provided. But we shouldn’t think that the Senate caucus was somehow more democratic because it was held in a more open way. When Senator-elect Samuel Bell (Democrat, District 5, Providence) attempted to vote against the leadership slate of Ruggerio for President and Michael McCaffrey (Democrat, District 29, Warwick) for Senate Majority Leader, he was told that voting against the slate was not allowed. Instead, Bell’s objections were turned into abstentions. The actual votes for Speaker Mattiello and his leadership team, as well as the vote for Senate President Ruggerio and his leadership team, will not take place until January, after all the Representative and Senator-elects are sworn in. Who paid for the room and refreshments at the restaurant?